a mod for the default ui, adding some quality of life improvements & visual twists with a focus on clean design & light scripting. note that your downloaded directories will need '-master' removed from the folder name to function. type '/modui' for a variety of options, or click the 'M' button located on the mainbar (replacing keyring, which has been moved over into the bag frame). All elements can be toggled on or off, and any that have been disabled will not load on login. offers two positions for extra action bars, stacking neatly along the bottom or resting along the right side (similar to the default position). 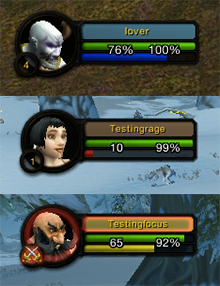 slimmer, prettier xp & rep tracking bars. spells cast when keys are pressed down rather than released up (similar to SnowFallKeyPress). stats such as total users on server, fps, gold earned in session, time played in session, XP earned, average XP per hour and addons loaded displayed in the latency display tooltip, alongside ping. free bag slots # displayed on backpack mainmenu icon. one-bag in the style of default blizzard backpacks. simplified chat w/ mouse scroll. simplified messages & message events. splits default combat text to either side of the player based on healing or damage grouping for events. adds outgoing damage + healing. dark themed frames applied smoothly across entire default UI. world map: scaled down & interaction re-enabled. class coloured + group-labelled blips for party/raid. x/y co-ordinates for player & mouseover cursor. shift + click to drop a map pin. friendly flag carrier tracking in warning gulch. 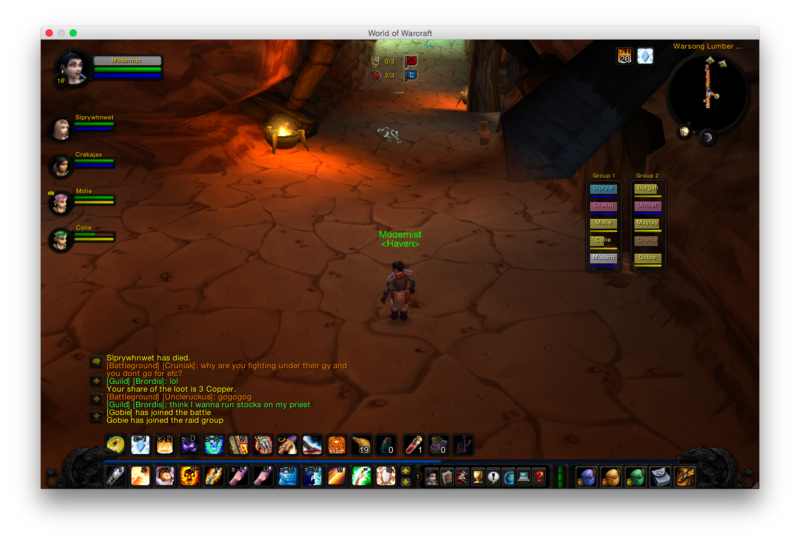 usable outside of battlegrounds with an alternate borderless translucent view. combo points on target for druid+rogue. enemy & friendly castbar tracking. 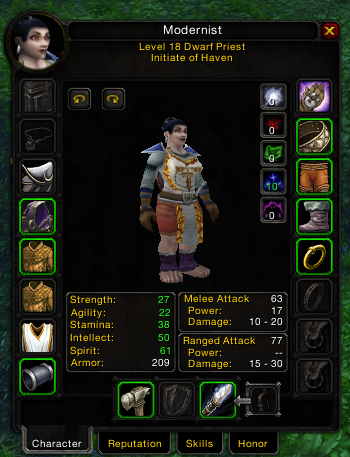 floating healing numbers on friendly nameplates. flag carrier names next to score in warning gulch. node capping timers in arathi basin. RP estimation (similar to macros used elsewhere) button in honor frame. adds button under minimap that automically creates and neatly positions a set of light, moveable raidframes. options: full options menu available soon! button & frame borders given sharper cleaner textures. icon borders in bags and character paper doll coloured based on rarity. api available for any user to add more custom borders to frames. fully fledged stopwatch frame with macro functionality, based on the blizzard version first available in TBC. click on quest titles on the quest tracker (under the minimap) to open in quest log. names or name backgrounds coloured by class. smooth animation on statusbar value changes. energy tick tracking for druids and rogues. a combination (2.5k/2,5k — 100%). very light lua-based buff/debuff tracker — similar to powerauras or the blizzard retail spell activation overlay system. Last edited by modernist on Mon Nov 21, 2016 12:58 am, edited 17 times in total. hope double posts are cool in these kind of progress threads. thats exactly what i am looking for. Need this please my friend. This dark mode is relly nice. worldmap scaled down & interaction re-enabled, class coloured + group-labelled blips for party/raid, x/y co-ords. minimap buttons stripped or re-arranged, scrolling zoom. What raid frames are those? Me want. my own — modraid. available in the git link above, just click modraid & then 'download zip' at the bottom right. just a note that they can now also be auto-arranged with the '/spawn' command, tucking them under the minimap in blocks that grow to the left & down. i'm writing these in 10-19 WSG whilst waiting for the GY spawn, so there's probably a few niggles yet to smooth out. please post any bug reports in this thread or through git. Awesome. This is exactly what i wanted. Is there a way to make it show the exact amount of rage you have?